Has Harry Roque lost his marbles? A while back, I expressed the opinion in this blog that the Philippines needed more advocates like Harry Roque (“Calling Harry Roque! Is Harry Roque in the Building?“). This opinion arose out of a recognition that advocates are needed to take on rooted and intransigent political and oligarchic business powers to get consumer legislation passed. After all, the Philippines has no Civil Liberties Union and no significant force advocating for consumers unless people take to the streets. Representatives are busy boxing or playing basketball or otherwise taking care of themselves. Corrupting a murder case involving two individuals by overlaying Roque’s political advocacies against the American Visiting Forces Agreement (VFA) and Enhanced Defense Cooperation Agreement (EDCA) onto the Laude murder; he prejudged a man’s guilt before charges had been levied to advance his agenda in unrelated cases. Leading the Laude family in a march on American ships docked at Subic. Sneaking Laude’s sister and German boyfriend into Camp Aguinaldo prison and allegedly inciting them to climb a fence to confront the accused American soldier housed there. The German physically accosted one of the guards. Quite frankly, if the case were under trial, no judge would permit such behaviors. Roque manipulated the system by declaring the American soldier guilty before evidence had been gathered, before any charges had been filed, and before a court was assigned. Roque is a master manipulator. A manipulator of the courts and the media. It seems to me he is an ethically challenged game-player. He seems to be emulating his idol, Vice President Binay, who obviously believes that a malleable press can be used to cover bad deeds and accomplish the unthinkable. Or unpardonable. Well, Roque’s incitement that caused two people to scale the prison fence will apparently get a disbarment case filed against him by the Armed Forces of the Philippines (AFP). Is Roque impressed, or humbled? No, no. He has decided to file his own case against the AFP, a concoction of grievances that is so wild that I cannot help but conjure up an image of Lieutenant Commander Phillip Queeg of the Caine Mutiny, portrayed so brilliantly by Humphrey Bogart, rattling his marbles as he is cracking up (“Caine Mutiny – Captain Queeg loses it“; You Tube). You notice that he refers to himself as Professor, as if this added designation is to convey special wisdom or authority. 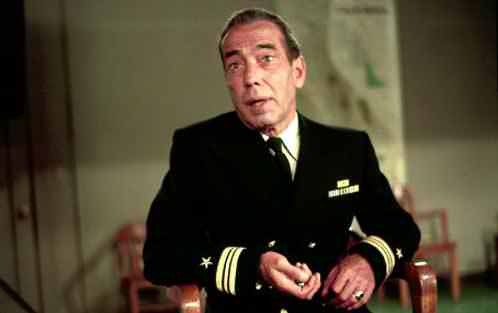 Much as Queeg is hung up on a captain’s authority. And Roque will go take custody of Pemberton personally. The clattering of ball bearings gets loud at this point . . .
Further, we have Roque’s November 7 filing of contempt charges against the AFP on the legal technicality that the AFP erred when it publicized its disbarment complaint against him. I fear he wants to jail generals who have serious work to do and take up the Supreme Court’s valuable time in this 14-page defense of his Ego. I have decided that Roque is an intimidator. It is a form of extortion, a way to get his political way by using . . . stepping on, threatening, attacking . . . the innocent or vulnerable. First, the American soldier is clearly, by all moral standards, innocent until proven guilty. Second, Laude was murdered by a person, not the United States of America. Third, the AFP was simply doing its job. Roque attacked all three, soldier, US and AFP. Bluster. Press conferences. Intimidation. Lawsuits. No evidence in hand . . .
As an intimidator and extortionist, Roque is not armed with guns and he does not have a gang of bullies behind him. But make no mistake, his method of operation is forceful if not brutal. He uses the courts as his weapons, and they are pliable to his manipulations. He files fast and furious, plays the press, and he makes life hell for anyone who crosses him. He will make the AFP . . . or rather, Philippine taxpayers . . . pay a lot of money to defend the AFP’s responsible behavior and punish his irresponsible behavior. As if anyone with a grievance can sneak people into a prison and stand complicit as they scale jailhouse walls in protest. Free speech, that? This is all a personal opinion, you dig? I have called on no psychiatrist to confirm my finding that “a little loopy” is the factual state of Roque’s mental condition, and I have not sought legal counsel to tell me whether or not the term “extortionist” is legalistically defensible. I only know what Roque’s behavior seems like to me. Sec. 16. Suspension of attorney by the Court of Appeals or Regional Trial Court. – The Court of Appeals or Regional Trial Court may suspend an attorney from practice for any of the causes named in Rule 138, Section 27, until further action of the Supreme Court in the case. Well, the bar is pretty high in that misconduct needs to be “gross”, and I suppose there is jurisprudence on what that means. To me it means whatever the judge assigned the case decides, which can be thumbs up or thumbs down. Sneaking people into a prison and egging people to break a law and physically accost a prison guard seems to me to be gross misconduct. The courts will have a chance to establish whether the judicial and legal professions have high moral standards or low moral standards for members. I like high values myself. I confess I don’t have much confidence that some judges know what this means. I am not optimistic. Associate Supreme Court Justice Leonen probably does, but other judges seem to subscribe to rules of amoral interdependency. Not if the lack of remorse demonstrated in his counter-filing is his official stand going forward. He makes no apology, admits no wrongdoing. He attacks. Disbarment of Professor Harry Roque. Dismissal of his complaints against the AFP as frivolous and insulting to the courts. I would also suggest the University of the Philippines review its own ethical standards and determine if Professor Roque satisfies them. The courts should not be used as tools to empower thuggish attorneys who have no respect for laws and no respect for moral, civil or judicial decency. Well, no. The VFA was ratified by the Senate and upheld by the SC. Therefore the custody arrangement with regards to Pemberton, which falls under the VFA’s provisions is not contrary to Philippine sovereignty. Roque is passing off his personal opinion, one that was rejected by the SC, as a fact. Roque is insufferable even when we were on the same side of an issue. He is a media hound who uses his advocacies as perfume. Anyway, I dug into my uniffors archives and looked for articles I’ve written that are critical of Harry Roque. If you’re interested, these articles go back several years. Here is a rather long one from 2012 called “Harry Roque’s Way” (http://www.uniffors.com/?p=7014.) Here’s a short one from 2011 called “Motormouth Strikes Again” (http://www.uniffors.com/?p=5846) Here’s another one from 2011 written PDI’s John Nery called “The (self-) importance of being Harry” (http://www.uniffors.com/?p=5775) Finally again from 2011 called “Critics of the Court”(http://www.uniffors.com/?p=5689#more-5689). It’s interesting how, coming at things from two different perspectives, independent of each other, we came to the same conclusion. The common ground is the strange ego-centered behavior, couched in terms of servitude to high values. Yeah, right. And that garage really cost P2.3 billion to build, too. And the Brooklyn Bridge is for sale . . . Happy Vet Day, Joe! Thank you for your service. Harry Roque is a piece of work. It looks like he got the double whammy of a flawed character and dysfunctional cultural conditioning. His saving grace is he has the smarts to choose right from wrong but he seems to be possessed with power and fame lately. Don’t be a poster child for nature and nurture gone awry, Harry. Exercise your freedom of choice by taking the high road. Why thank you so much, Juana. It is always touching when someone out of the blue says thanks. Good advice for Harry. I truly think he can’t grasp how his deeds are seen by a lot of rational people. A dignified (?) UP professor and attorney leading protests and law breaking? Swamping the courts with garbage filings? Truly, I fear he has “lost it”. “It” being perspective and perhaps what a high road looks like. ps, my thanks to you, too, for being the anchor for your military family, a lifetime of service that has its own special strains and rewards, I know. A salute to you . . . I have this impression of Harry Roque as the ultimate narcissist, where it’s all about him. He is fond of this narrative of him against the world, a lone crusader armed only with his conviction and principles. Perhaps he fancies himself as the Filipino Alan Dershowitz? His recklessness in showing that incendiary anti-Moslem film typifies that. Yes, most people would find humility if they collaborated in that “over the fence” stunt that he says went beyond what he expected. He didn’t think they’d go over the fence. Well if that is true, where is the concession that it was an idea that went wrong? Instead he attacks the AFP. He is arguing out of both sides of his mouth and using legal avenues to deny any accountability whatsoever. Narcissist is perhaps too kind, but I’ll go with it. I personally think that is irrelevant. Is he kind? Is he considerate? Is he ethical? Is he honest? Is he respectful of those who disagree with him? He IS a homosexual. His students will confirm that for you. It MAY be marginally relevant only, in the sense that maybe as a homosexual he is more prone to “topak fits” and in explaining his zeal in defend Jeffrey Laude. But as I said, marginally relevant only. Very interesting, indeed. Well, I can see the passion, and I know his initiatives generally fit with what younger people idealize, like that government is evil and we know better how to do things. If I were an attorney, I’d consider him an embarrassment to my profession. It’s rather like I don’t like investment bankers who game the system for billions because it makes us down-home consumer bankers look like thieves, too. It is relevant to explain the zeal. Thanks. So it is no longer a cause of wonder to so many why he was so passionate about the Laude case. And why he wanted to take personal custody of Pemberton. Proving that without a doubt there is a fate worse than death.